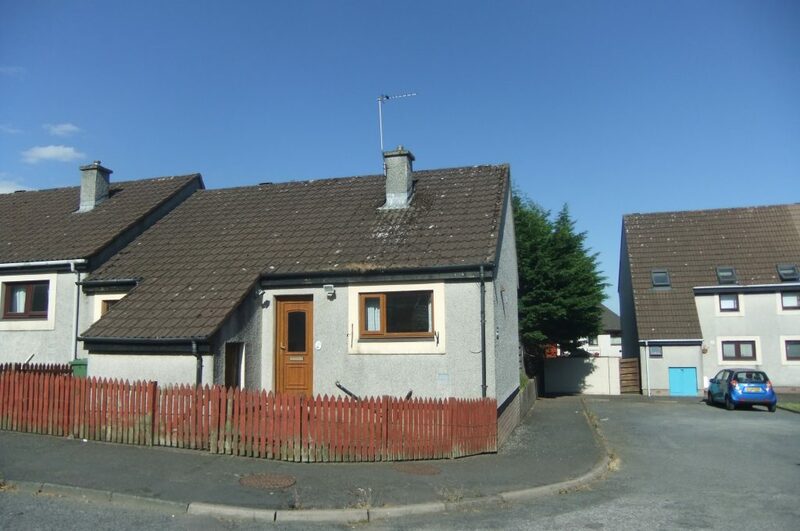 End terraced bungalow on good-sized corner plot that offers compact and easily-managed accommodation. 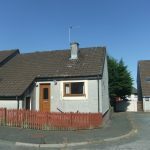 It is located in a quiet cul-de-sac within easy distance of local amenities and commuter links in Town Centre and is on a local bus route. Annan is near the Solway Coast and lies almost mid-way between Dumfries and Carlisle. The town is well served by a variety of shops, hotels, restaurants, schools, sports facilities and social clubs. Kimmeter Wynd forms part of a residential development towards the eastern edge of town, between Hospital Road and Stapleton Road. A large, separate piece of garden ground at the rear. Smoke detector to textured ceiling; central heating thermostat control; built-in cupboard with shelving; fitted carpet; open-way to Store / Boiler Room. Window to rear; blocked-off fireplace with wooden surround and tiled hearth; fitted carpet; door to Vestibule. Hatch to lit, insulated and partially floored loft; telephone point; fitted carpet; door, with patterned double glazed panel, to garden. 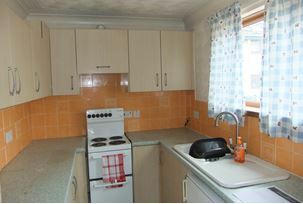 Window to front; spotlight fitting to textured and coved ceiling; units fitted at floor and eye-level affording good cupboard / drawer storage; matching housing for the cooker extractor fan; ample worktops; sink and single drainer; tiled splashbacks; space and plumbing for appliances; vinyl flooring. Light; electricity meter and consumer unit; wall-mounted Worcester boiler; central heating / hot water programmer; shelving; coat hooks. Window to rear; smoke detector to textured ceiling; 2 wall lights; mirror; fitted carpet. 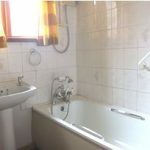 Patterned window to front; white W.C., wash-basin and bath; telephone-style shower attachment to bath taps; Redring electric shower over bath; shower curtain rails; tiling to bath and wash-basin; 2 mirrored cabinets; glass shelf; fitted carpet. Enclosed within timber fences, the front garden is in red chippings. The inspection unit housing the gas meter is on the exterior wall of the store / boiler room. This large enclosed rear garden is chipped and paved for ease of maintenance. A tap and a power socket are in place beside the back door and there are security lights beside the front and back doors. A gate opens onto a shared path along the rear of the terrace beyond which lies an extensive piece of ground belonging to the property. Enclosed within hedges and timber fences, the ground is mainly in grass, planted with a variety of shrubs and trees. The garden ground could lend itself to a property extension. On-street parking is available opposite the property. The metal shed is INCLUDED in the sale. 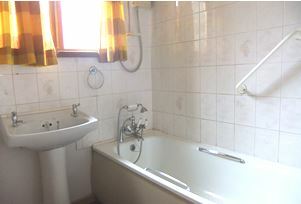 The property has mains electricity, gas, water and drainage. The telephone line may be taken over subject to British Telecom Regulations. Walker & Sharpe, as Selling Agents, have prepared these particulars with care. 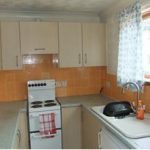 No warranty of any kind can be given that any items of electrical or mechanical equipment including, without prejudice to the foregoing generality, the central heating, drainage and electrical systems serving the property are in full working order. The measurements, taken by sonic tape, are approximate and for guidance only. It is for prospective purchasers to investigate and satisfy themselves as to the basic facts before submitting an offer.